Philippe Toutlemonde aka Phi Phi was born in France in1963 but he made his musical career in Belgium. His DJcareer began in 1985 and since then he played togetherwith DJ’s like Paul van Dyk, John Digweed, Danny Howells,Anthony Pappa, Sasha, Cass, Laurent Garnier, Oliver Lieb,Francesco Farfa, Jimmy Van M, Seb Fontaine and manymore.Together with his studio partner Philippe Van Mullem theycreated the successful project Quadran. Quadran would beparamount in the global success of the newly formed BonzaiTrance Progressive, this label along with people like Philippewere bringing a new type of sound to clubland, trance wasbecoming more and more listened to and appreciated due tothe quality of production. Quadran's first release “Eternally”kick-started this movement, melodic, uplifting trance wasinadvertently coming to life. After the well received firstouting Quadran then put out “Free Your Mind” and againbenchmarks were raised. “Illusive Dream” followed thesimply amazing masterpiece that is “Neural Phase”, and it’snow that people really start to notice this sound. 1996 wouldalso see the critically acclaimed album entitled “Voyages”get a release on this ever expanding label.Many more collaborations followed with the likes of Greg Dwith the successful hit "Jesus Trip", “L’Odyssey Of Love”and the project Oudja, Honey C, Innertales and T he Gapswith long standing studio partner Philippe Van Mullem andseeing releases on Hard Times, Bonzai TranceProgressive, X-Stream, Tranceportation and XT C Records.The "Magma - Jungle Trip" release came out in 2003 withSteph Garner & Patrick Fasseau on Mackenzie recordings.The Db Movement project was created a few years later in2005 together with Steph Garner and get some notablesignatures on the labels Work and LCD records. Lately in2013 he released a few new releases with LaurentVeronnez aka Airwave on Bonzai Progressive. 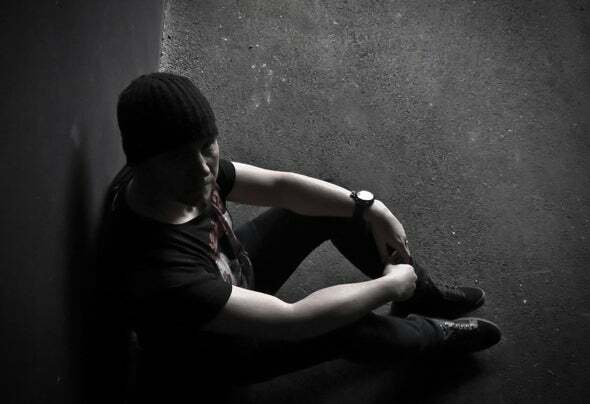 Described as one of the lonely DJs who can play andproduce the vanished old Belgian trance style. Phi-Phi is amaster in mixing and can make unbelievable storyboards. Anunmatched track selection, and a unique choice in recordsmakes him the only one who can show trance haters wheretheir opinion is wrong. Known all over Belgium for his “PhiPhi Legendary Monday’s” at Extreme (Affligem, Brussels)and DJ residencies at At The Villa, Boccaccio Life, Fuse,Oxygene, Tour & Taxi, Cirao, Pulp, Barocco, he also crossedthe borders with his music, from Germany, France, Italy andSwitzerland to Spain (Ibiza), Croatia, USA (Miami) andLuxembourg. In 2012 he launched his own tech house progressive &techno party concept called "Mouvement Perpetuel" withhimself as the resident, CP (Bedrock Records) and Cosmo.The concept runs also his own weekly radio show on StudioOne FM.Still DJing and appearing at many top clubs including therecently launched Bonzai Legendary Events and some bigfestivals like Tomorrowland, Legacy Festival, etc... Philippe isone of those artists that can stand proud and remains trueto a genre that he helped shape and nurture, and he willalways be included in the vaults of the history of Bonzai.